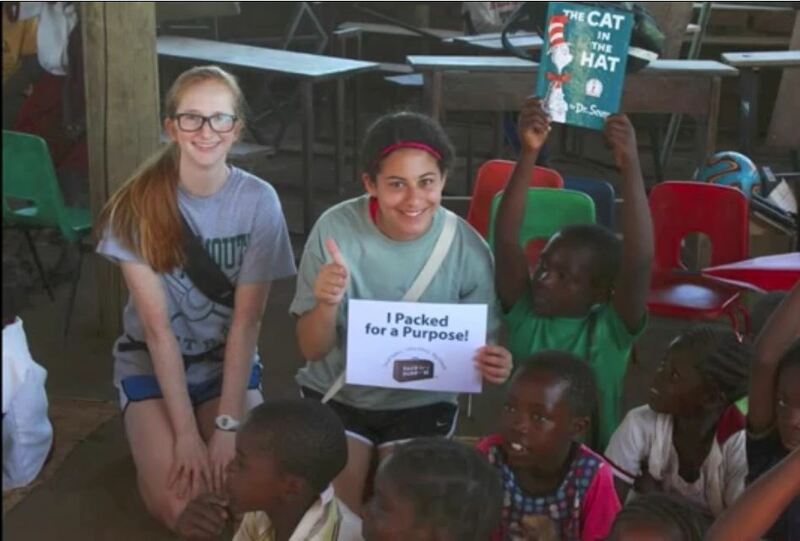 Ravenscroft School in Raleigh, North Carolina, and Pack for a Purpose teamed up together to bring five hundred pounds of supplies to two schools and an orphanage in Zambia. 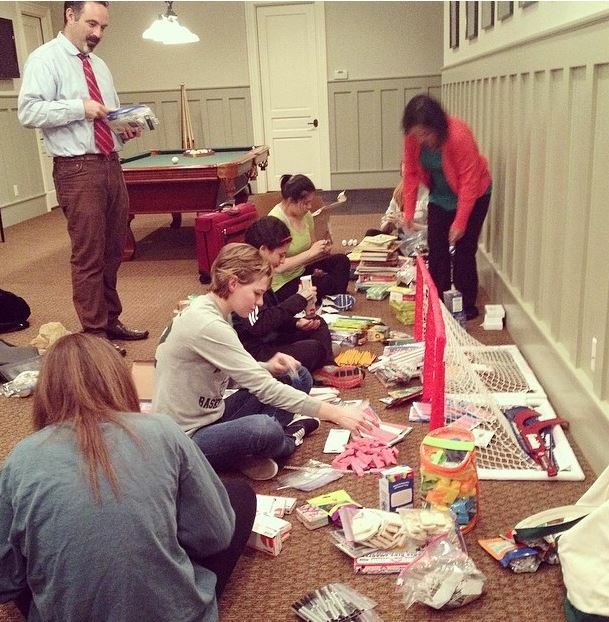 The first step was to have a packing party to collect and pack all of the supplies that we would be taking with us. Thanks to Cheryl Trainor and her brother Tom Sixta, Group V.P. of Sales at United Stationers, for coordinating the donation with the help of Operations Team members Sean Greiner and Derek Kress. Additional thanks go to our chaperones, David Kates and Jessica Yonzon, the party was planned out and ran smoothly. We were fortunate to use the Hianik’s huge basement to spread out, unpack, and then repack the supplies. All of us eliminated many pounds of pointless packaging (and recycled it here) by just putting the similar supplies into gallon storage bags. After all of our packing was done, we all had a fun time eating together, getting to know each other better, and talking about what we would be doing there. 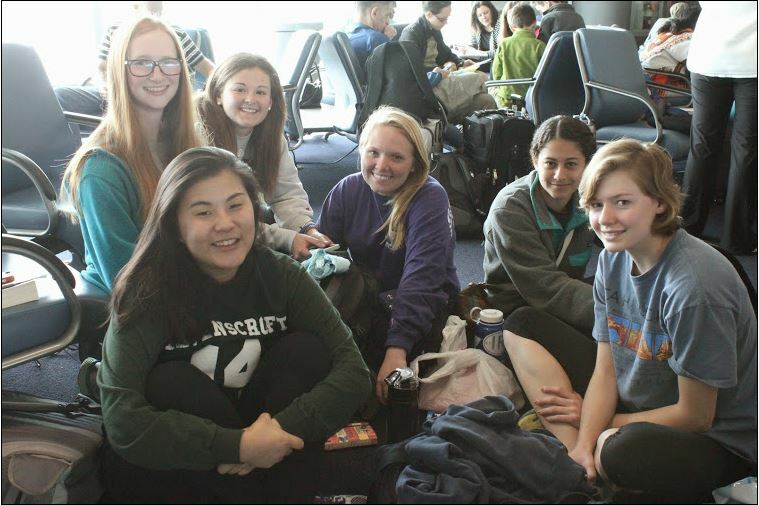 On April 11th at four a.m., five of my schoolmates (Jessie, Kristen, Rebecca, Rachel, and Sophie), two of our teachers, and I arrived at the airport to begin our journey to Africa. Over 25 hours later we arrived in Livingstone and our first “home,” the Zambezi Waterfront. Happily, all of our luggage arrived with us! 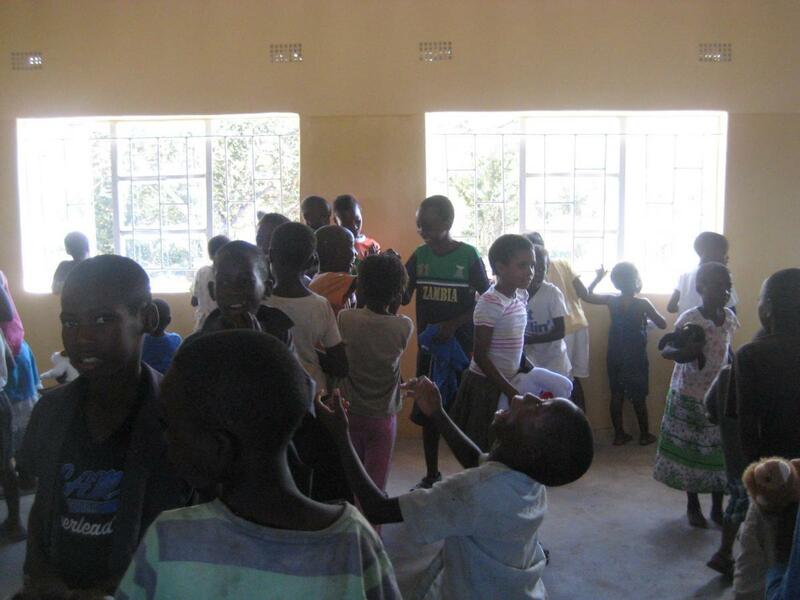 Our second day in Zambia, we travelled to the first school that we would visit, the Siandunda School. We loaded up the nine suitcases filled with needed and requested supplies into a van to head out to the rural village. The sight of the suitcases being loaded on the van filled us with anticipation for the experience to come. When we arrived at the village, we were greeted by a traditional Zambian welcome, which included dancing and singing by the villagers. Then, the celebration commenced. Even though there was a language barrier, we were able to make a powerful human connection and start a cross-cultural friendship for years to come. After the heartwarming welcome, it was then time to unpack all of the supplies that we had brought over. We gave the supplies to the principal and teachers in the school, while the children eagerly lined up to look through the windows at all of the new toys and school supplies. After the principal and teachers handed out everything, all of the children clutched new pencils and plush animals as they grinned from ear to ear. The pure joy on their faces was infectious. Jessie, one of my classmates on the trip, had this thought after we returned to Raleigh: “It’s amazing how a new pencil can brighten a child’s day. These kids find such joy in the little things and it was incredibly humbling.” The amount of happiness a single pencil or stuffed animal provides was wonderful for all of us to see. 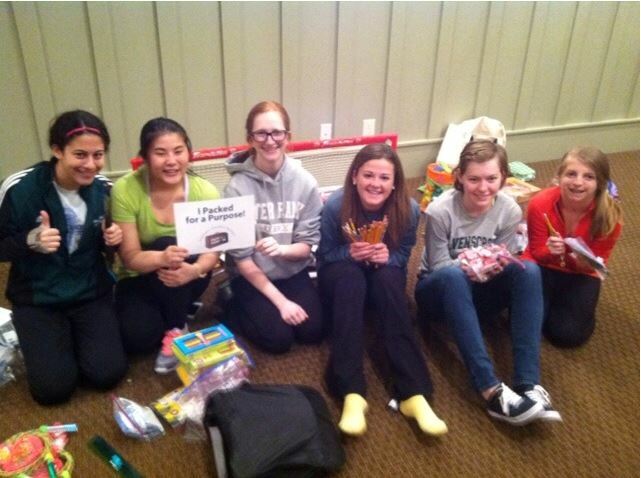 After the supplies were distributed, it was time for fun! We danced, played sports, played hand games, and had a fantastic time running around with all of the kids. The day ended with another group celebration, and we were thrilled that we had the chance to make this deep connection with the school community. We hope to keep the partnership going every year, and let new Ravenscroft students experience the eye-opening and pleasurable time that we had with the whole village. Our next, brief stop was to Lusaka, the country’s capital, to visit and tour Kasisi Orphanage. We went into a courtyard area and played with the toddlers. 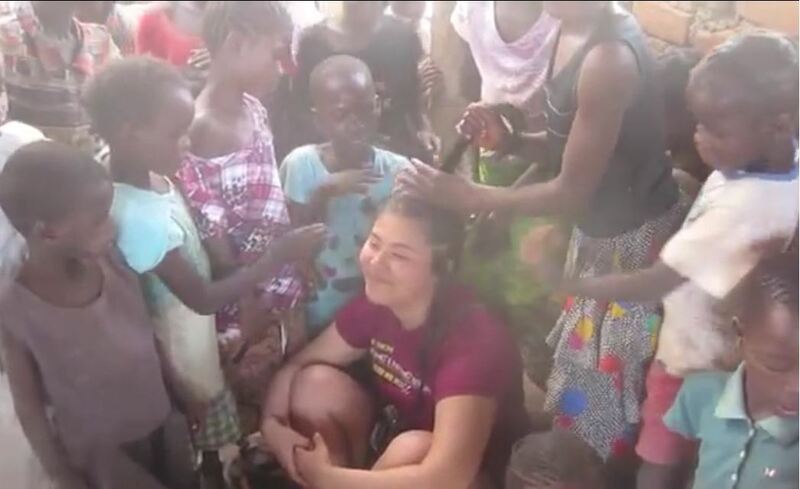 When we sat down, the little toddlers plopped down in our laps to play and be loved by us. We left several backpacks full of supplies we collected for the orphanage, and then left to catch our next flight to Mfuwe. Mfuwe was our last stop in Zambia. Our “home” here was the Marula Lodge. All of the staff at the lodge were very warmhearted and interesting. Jenny, the owner of the lodge, helped us organize everything for our visitation with the Uyoba School. 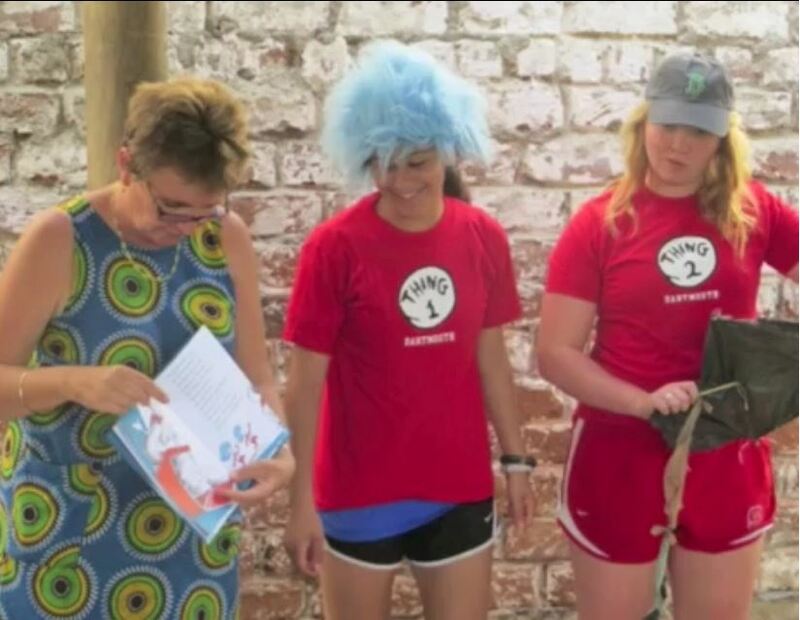 It’s evident that she loved working with the school and with all of the kids. We were fortunate to get the opportunity to spend two whole days at the school. The high schoolers at Uyoba School came over to Marula Lodge and we showed them the gently-used laptops that we had brought. For most of them, it was the first time they had ever used a computer. Bringing a gently-used laptop to the projects that have requested them is a great way to recycle electronics and give them to people who will cherish them. My favorite part was playing with the kids after their English lesson was over. They would all try to grab our hands, fingers, or arms to be with us. 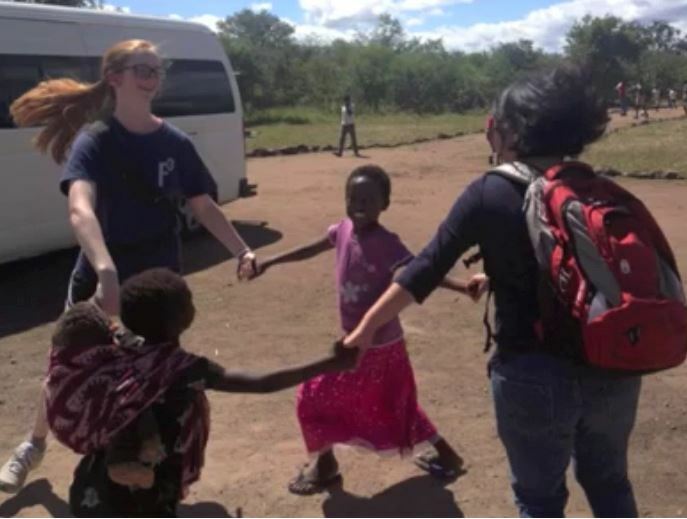 We learned some of their games, and all of us taught them some of ours, such as “Duck Duck Goose.” Leaving the school on the last day was difficult, as we had made great connections and friendships. 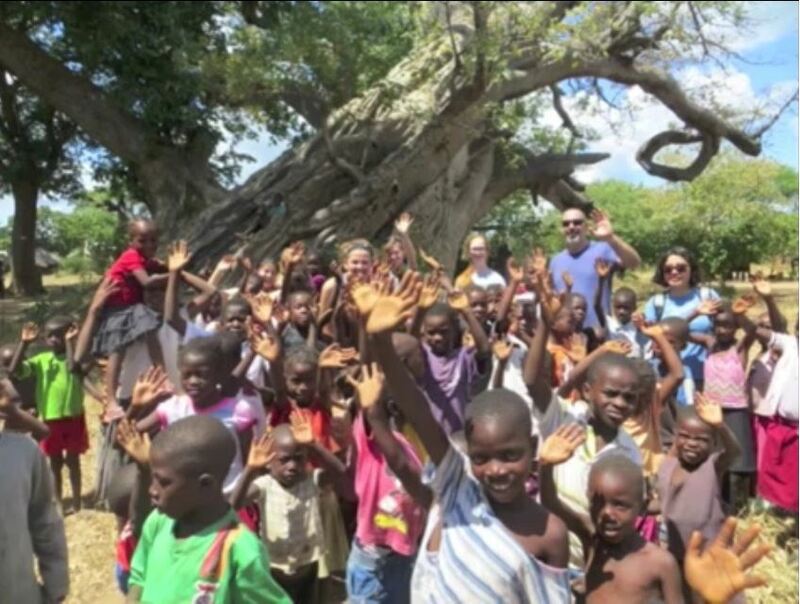 For me, Zambia was a fascinating experience filled with friendships, insights, and beauty. The whole trip was amazing, and I will never forget it. Even though I am back home in the States, I feel that by “packing for a purpose” that there is a little bit of myself still left in Zambia.